This event will start off with different speakers and a discussion. - "Wake" will be confirming his attendance late but we hope to have him as a speaker. 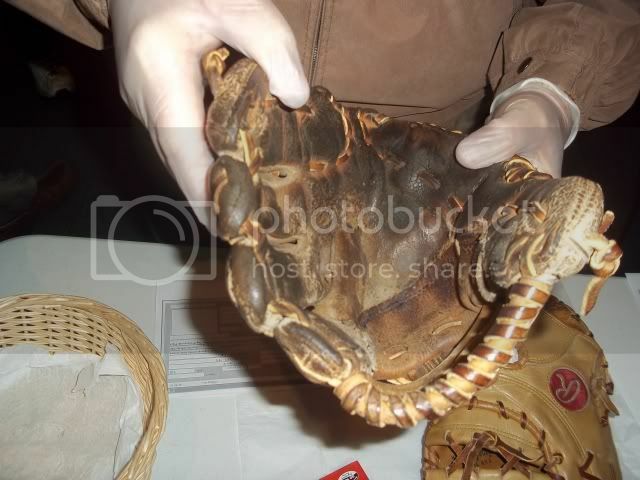 - a HOF curator will be talking about the Hall's collection, how gloves are accessioned, restored, displayed, etc. If you'd like to be a speaker please let me know. There will be time for Q&A and time for open discussions on any topic ... kinda like how this forum works, but without computers. Please come with topics in mind and contribute to a lively discussion. When you arrive at the HOF go to the main ticket line. If you arrive between 9am and 11am you will need to buy a regular priced ($19.50) admission to enter the museum. 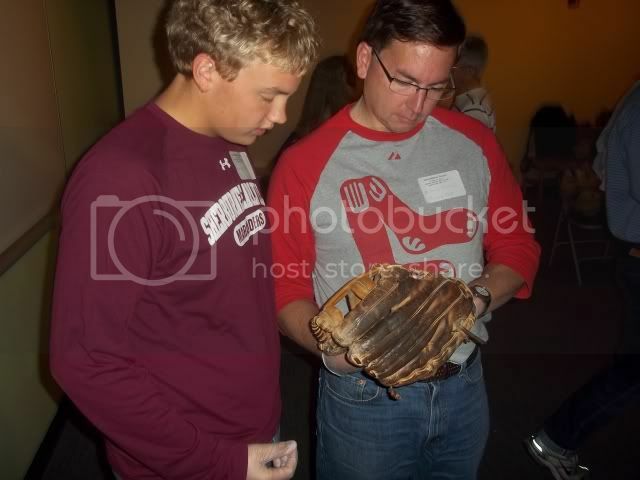 Starting at 11am there will be a glove conference desk set up inside the museum. If you arrive to the HOF after 11am do not buy a regular priced admission; instead, tell the ticket desk you are here for the glove conference and they will direct you to the glove conference desk inside where you will sign in and only pay $10. If you arrived earlier between 9am and 11am you will need to find your way to the glove conference desk before 1am and sign in, without having to pay anything extra. Conference starts at 1pm. Looking forward to meeting everyone, talking shop, and seeing gloves! Would it be possible for someone to record all of this? 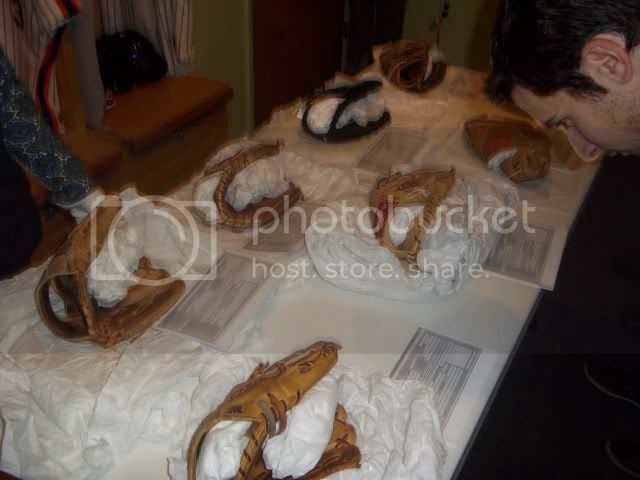 For forum members who are coming to Cooperstown on Saturday...if you have not seen the ''HOF raffle'' thread and the ''HOF ATTENDEES'' thread in the Modern Glove Discussions portion of the forum, please take a moment to check them out. Thanks. It's partly sunny and dry in Cooperstown today and looks to be the same for tomorrow's big day. Safe travels everyone. Before we meet (and as Carpenter said, safe travels to all), a pre-event thank you is definitely owed to Jason, Scott Carpenter, the HOF, and several others that have contributed hugely to all the planning in this. Definitely to Wake as well for even starting this forum years ago to begin with. I have no doubt that it'll be awesome due to all the work that's been put in to make this happen. For those who can't attend, there's gonna be a bunch of pics so I'm sure it'll be like you were really there. I assume that the attendees will post their thoughts after the event tomorrow and even more "thank you"'s will be issued. It was painful having to miss this event. I am certain it was a great experience for all who could make it. I hope the G-W shirts made it ok. Looking forward to seeing photos. Sorry you couldn't join us, Wake! I was hoping to see some of those classic Spaldings! For those of us who had the privilege to attend, it was a great day. 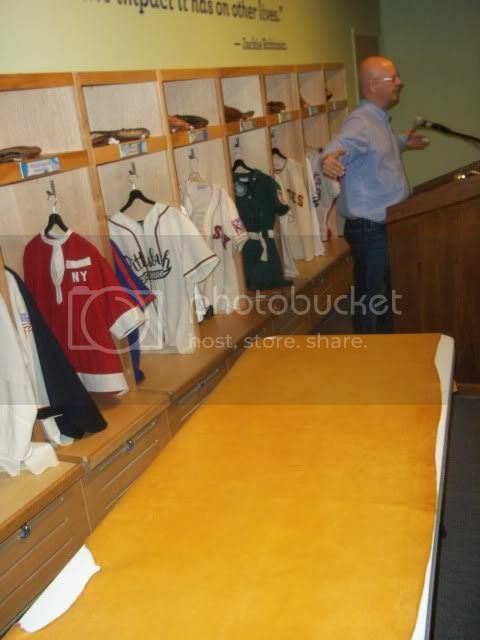 A chance to tour the HOF, great speakers, awesome ballgloves, - both from the HOF and the forum members, and a rare opportunity to meet some of the forum members in person. Needless to say, I saw some incredible gloves I've never had a chance to see before. By the way, - HRking - I want that Wilson 1781! 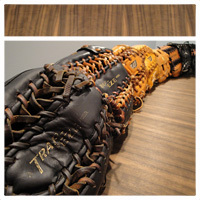 What an amzing glove! Thanks to everyone who organized and participated. The forum convention yesterday was everything I had hoped it would be. Thank you to Scott Carpenter, Jason, Pete the hook, Mark V the hall of fame staff and any other's who had a hand in pulling this together. The speakers were great, I especially enjoyed listening to glove maker's presentation and Scott Carpenter's. The Hof gloves and members gloves were awesome. Love Mark's 6X-TC and Jason's Mizuno gamer. The highlight was talking with fellow members and listening to their thoughts regarding different gloves and their various attributes. I have never met a more informed teenager on gloves than glovefeen95 his passion for the leather for such a young man is nothing short of spectacular. I look forward to the next get together. Nate and I had a great time yesterday at the forum get-together! Thanks for letting us tag along. Sorry for the delay everyone. I will have pictures and a recap up by the end of the night. Working on this as I type. Heads up for a new thread.